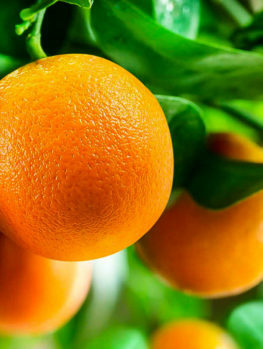 Citrus trees include oranges, lemons, limes, tangerines, mandarins, satsumas and kumquats. 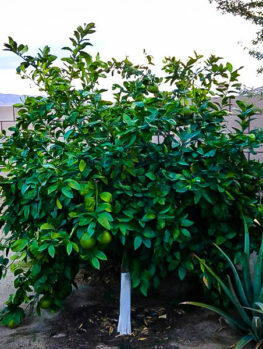 This guide will help you plant any kind of citrus tree. If you live in a warm area these are great trees for your garden, or if you live in cooler areas they are also wonderful trees to grow in pots and planter boxes, moving them indoors for the winter if necessary. If you plant your tree correctly and care for it, it will soon be covered in delicious fruit for you and your family to enjoy. The very first thing to do is un-wrap your trees. Remove all the wrapping materials, remove the trees from the box and remove any wrapping around the trees themselves. If you see that your tree is growing in a plastic pot, you are reading the correct guide. If you receive your trees in winter – which is a great planting season as long as the ground is not frozen – then of course they will have no leaves on them. That is normal – as soon as spring comes your tree will send out its fresh, new leaves and begin to grow. 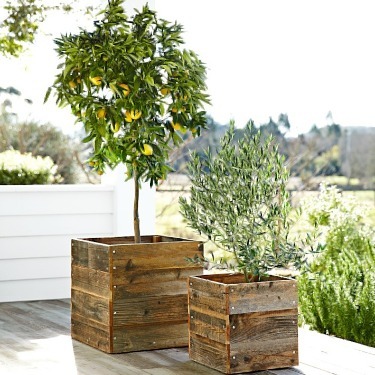 Move your plant around by picking up the pot – do not lift it by the trunk or stem. Your trees have been on a journey and they will be a little stressed, so place them in a shady part of your garden and give them a good watering. Do not remove them from the pot. If you are not going to be doing the planting for a little while, that is fine, they will be happy in their pots, but after a day or two in the shade, move your trees to a sunny location. Remember to water every day or every second day, depending on how warm the weather is – do not let the pot become completely dry, but do not water a plant that is already damp. If the soil becomes very dry, place it in a bucket and half-fill the bucket with water so that the soil can soak completely. 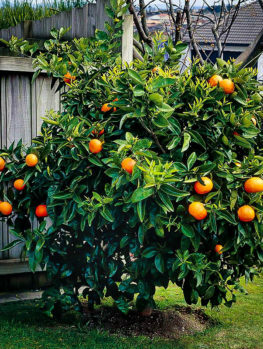 If you live in a colder region and are going to grow your citrus tree in a pot, don’t put it outdoors if the temperature is lower than 40 degrees. Keep it in a well-lit place inside until you are ready to plant it in its final pot. 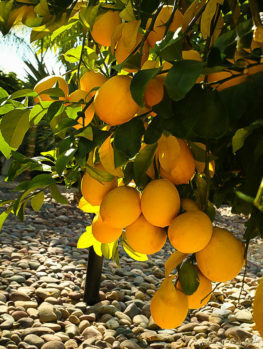 Citrus trees grow outdoors best in areas that receive little or no frost, so zones 9 and 10 are best. It is possible if temperatures below 25 degrees are expected to cover your tree with a garden blanket to protect it and hanging a few light-bulbs under the blanket will give even more protection. 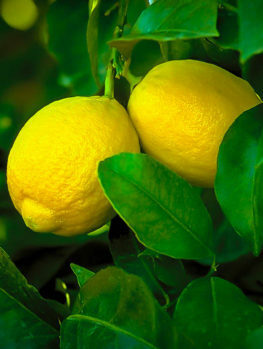 Lemons and limes need the warmest conditions while other citrus are more cold-tolerant. Choose a sunny, sheltered spot for your tree if you are planting outdoors. The final size of citrus trees is highly variable, so look at the width given in our description and give your tree the room suggested. 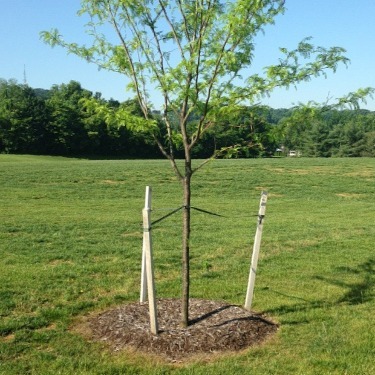 Do not plant too close to other trees and allow for the growth of young trees nearby. 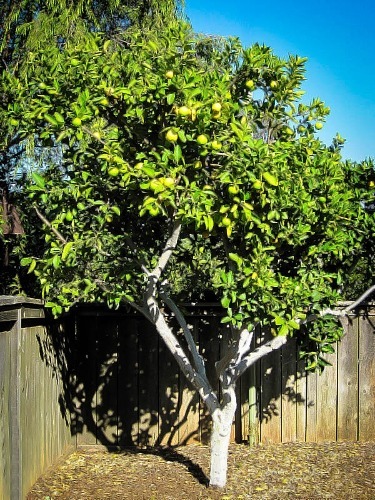 Don’t plant near a fence or your property boundary as a neighbor has the right to cut off any branches (or pick any fruit) that hangs over their property. Do I Need a Pollinator? 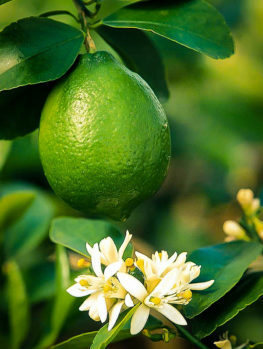 The short answer is no, most citrus trees do not need a pollinator – except for a few very unusual varieties, all citrus trees will grow a full crop without another tree nearby. In fact, the fruit is often better you’re your tree is grown alone, because it will contain no seeds. Even indoors, hand pollination is not necessary, although you will see it often suggested. Good soil preparation is the key to the success of your tree. Your goal is to make a large area of looser soil that the young roots can penetrate easily, getting food as they go and establishing quickly. You need to have an area at least three times the diameter of the pot dug as deep as your spade will go. Add some organic material to the soil as you dig. Almost any kind of organic material is good, among the best are well-rotted cow, sheep, or horse manure; garden compost; any ‘top-soil’ from a garden center; or if you have nothing else, peat-moss. A bucket per tree is about right, but any amount you have is worthwhile. In addition, trees need fertilizer to help develop their roots. This can be rock phosphate or bone-meal or any kind of superphosphate. There are many ‘tree planting’ fertilizers available too and they all work well, so whatever is available will be fine. Remove roots of weeds from the area and any stones bigger than your fist. Smaller stones can be left and it is not a good idea to sieve the soil to remove smaller stones they are best left in and can help with drainage. Turn over the soil, mixing the organic material and fertilizer into it and then level it off and get ready to plant. Save some of the organic material you used to mulch your tree after planting. The evening before you are going to plant, give the pots a good soaking with water. If the root ball is dry when you plant, it may stay that way and cause your tree to suffer from dryness even if the surrounding soil is damp. Now dig a hole in the exact spot where you want your tree to be, making it two or three times the diameter of the pot, but only just as deep. If you have dug the soil deeper than that, use your foot to press down the soil in the bottom of the hole, to form a firm base beneath the tree. This is to prevent it from sinking deeper than you want in the hole after you have planted it. Take your tree to the planting hole and slide the pot gently off. You may need to tap the edge a couple of times to release the roots, but it should slide out pretty easily. Usually there will be plenty of roots filling the pot and the root-ball will stay together and not fall apart at all. If it looks like the soil is going to fall off the roots, don’t worry, that is easily dealt with. If you tree is dormant, with no leaves, then just let any extra soil fall into the planting hole. If your tree is growing, with green leaves, then leave it in the pot, take a sharp knife and cut around the bottom of the pot and remove the base. Then get someone to hold the pot together while you cut down the side of the pot. Tie a piece of string around it to hold it together while you plant. Now place the tree in the center of your hole, checking that the top of the root-ball is level with the soil around it. Replace about three-quarters of the soil in the hole, pressing it down around the roots of your tree. If you have left the pot on, do the same thing, but when you have finished, cut the string holding the pot together and gently work the cut pot out of the soil. Finish firming down the soil – a gentle foot pressure or firm hand pressure is about right. Now fill the hole with lots of water, letting it soak down into the ground and into the root ball. Use plenty of water and then wait until it has all drained away. This will give plenty of water around the roots, where it is needed. Now put back the rest of the soil, firming it gently down. Make sure you have only covered the top of the root ball with a very little soil, no more than one inch. If you can still see the top of the root ball, that is fine. Make sure the soil is not sloping away from the tree, but flat, so that when you water it will stay around the tree, not run away. Some gardeners like to make a low wall of soil around the tree, at a spot about twice the diameter of the pot, to retain water. This is a fine thing to do, but not absolutely necessary. Put a layer of organic material over the root area, about two inches deep and then water the whole area thoroughly. 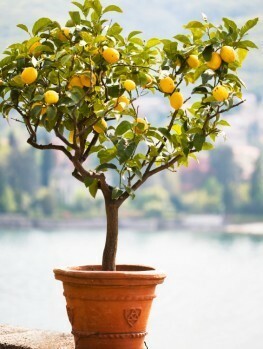 To grow your citrus tree in a pot or large container, make sure it has drainage. Use a regular potting soil for your tree. Place a stone or piece of screening wire over the drainage holes and fill the pot half-way. Remove your tree from its pot and place it in the center of the pot so that the top of its soil is about one inch below the rim of the pot. Add soil around the roots until you have completely filled the pot to one inch below the rim. Water thoroughly until water runs out of the drainage holes. Do not let your tree stand in a saucer of water and let the soil dry a little between each watering. Normally, staking citrus trees is not necessary. Modern arborists prefer to let the wind strengthen the tree, and stakes often cause breakage of the upper part of your tree. For regular young tees in a very windy location, two short stakes, well driven in but showing just a foot or so above the soil, can be used. Place these on opposite sides of the tree, outside the area where the roots are. If the prevailing wind is, for example, the north, then place one stake on the north side and one on the south side. Wrap some cloth around the trunk to protect it and tie a strong rope from each stake to the trunk. Some remaining movement is fine, the tree does not have to be held rigidly, and in fact that is not a good idea. Do not tie a stake high up into the tree. 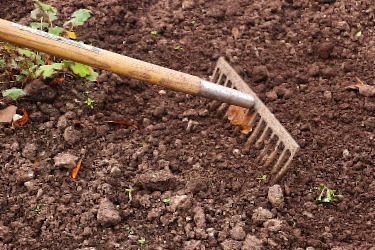 If you have used a stake, remove it after one growing season, once the roots are well-established. So that is it. 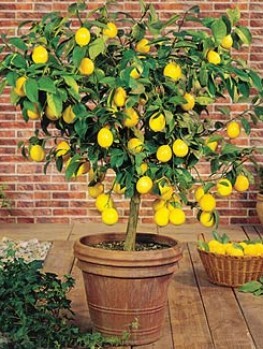 Your new citrus tree is set for a great life and it will soon reward you with vigorous growth and a bounty of delicious fruit. A little care really pays off.